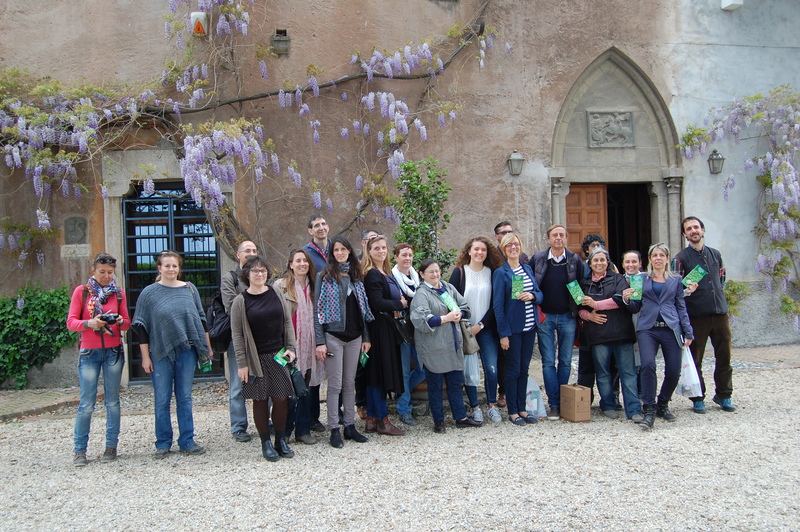 About 25 entrepreneurs and students coming from France, Spain, Portugal and Italy joined the “transnational mobility” that took place in Liguria and Piedmont (Italy) from April 10th to April 14th, promoted by the Association Terre dei Savoia and Consiglio per la Ricerca in Agricoltura e l’Analisi dell’Economia Agraria (CREA). 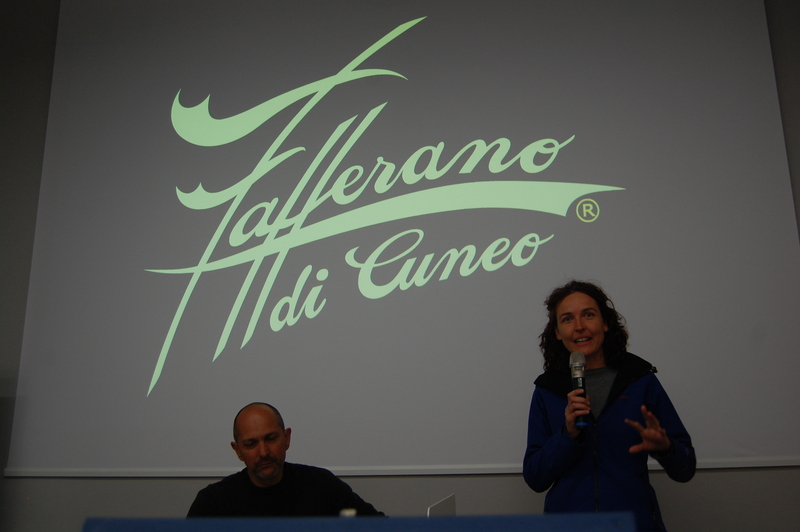 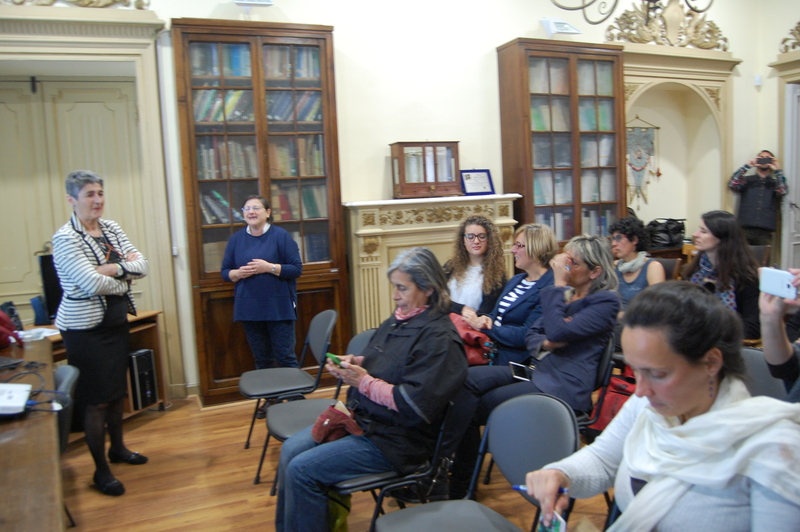 After the meeting of monday evening in Sanremo, Liguria, the students were welcomed by the director of CREA (Mrs. Barbara Ruffoni) and leaners presented themselves. 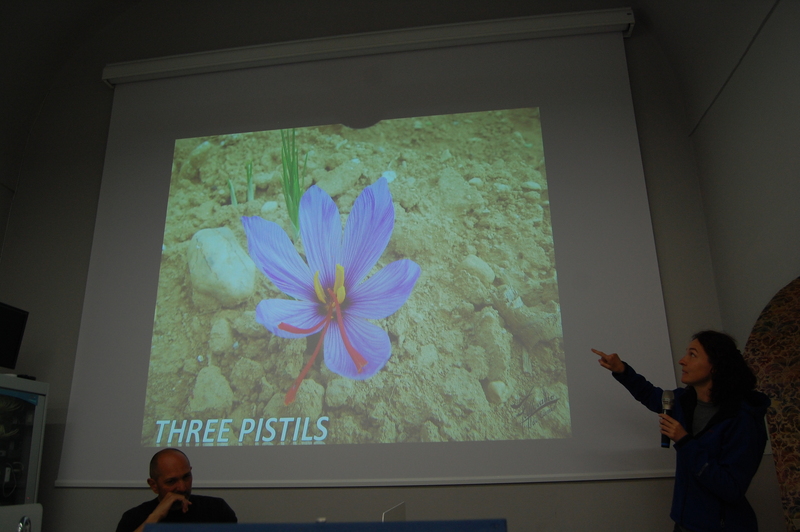 The started the four-day long experience with a morning full of seminars: “The strategic role of germplasm collection for the development of new products” by CREA’s researcher Claudio Cervelli, “La lavanda del ponente ligure” by Franco Stalla and Cesare Bollani, which tackled issues as the crossbreeding of lavender and the variety called “Imperia”; then another seminar about the extraction of the essence of the bitter orange by Pietro Guglielmi followed. 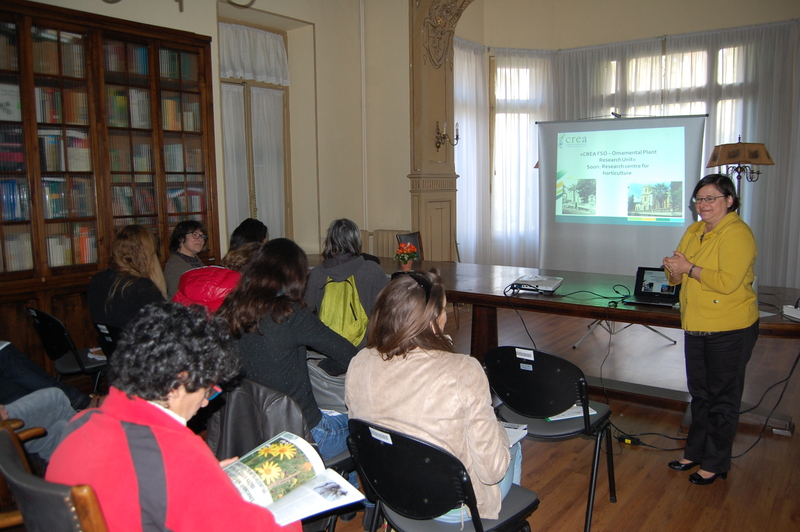 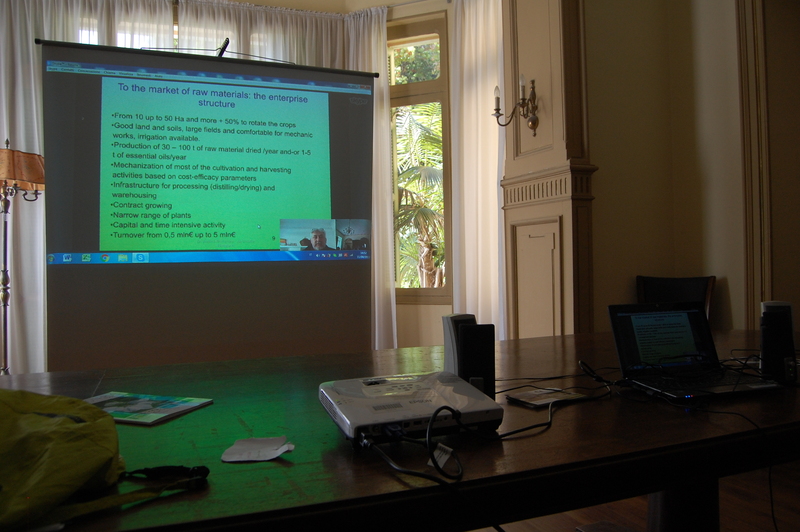 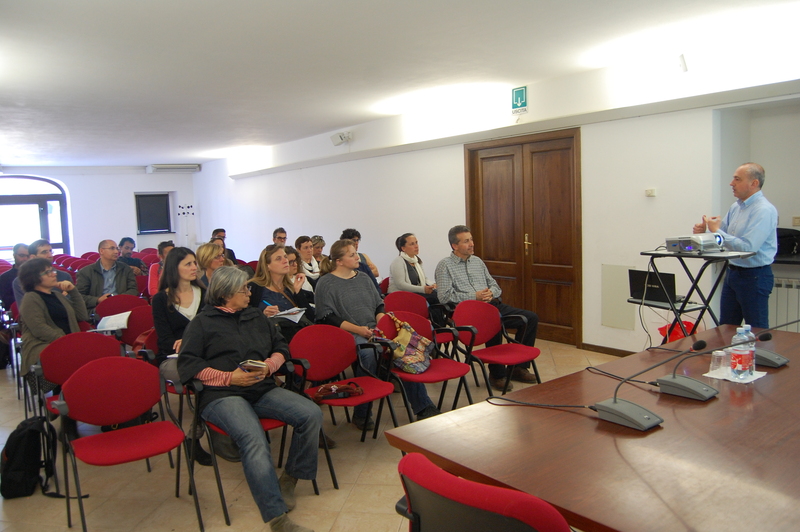 The conferences went on with the intervention of Andrea Primavera from FIPPO who talked about the challenges of the producers of MAPs . 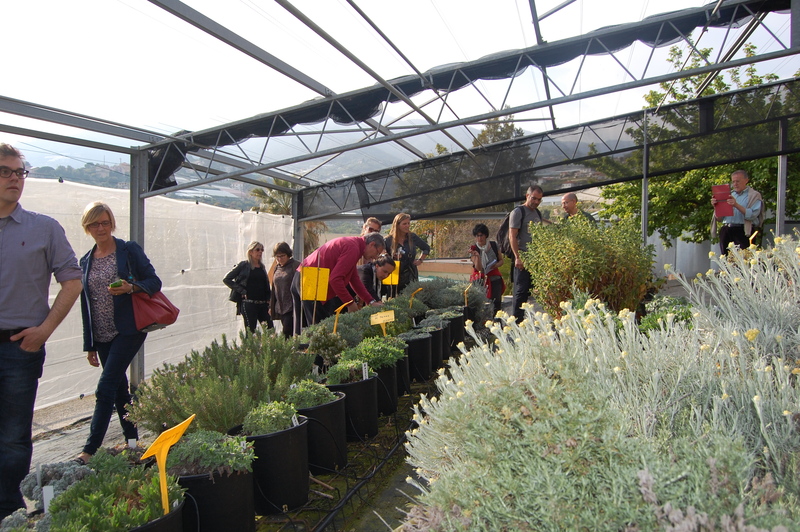 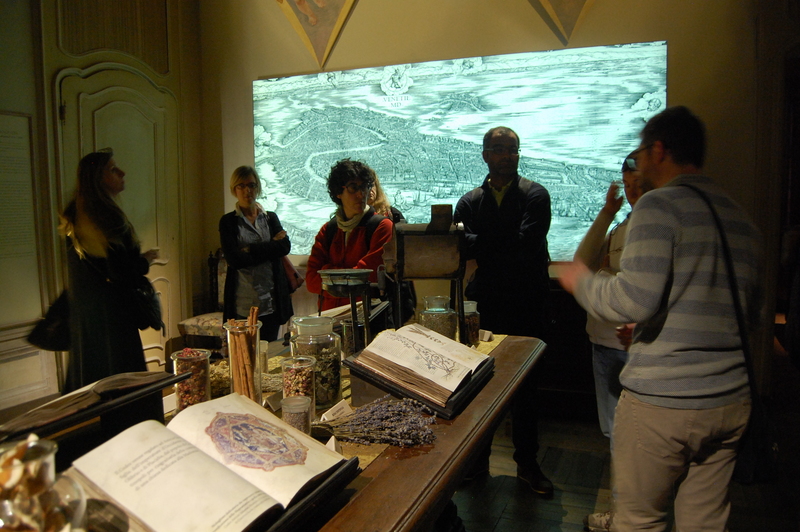 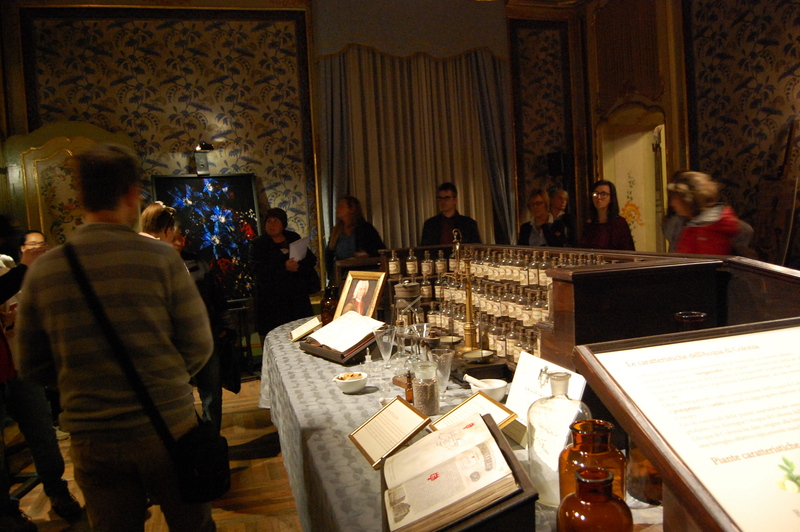 The intense day was closed by an interesting visit to the collection of plants of CREA, in Sanremo. 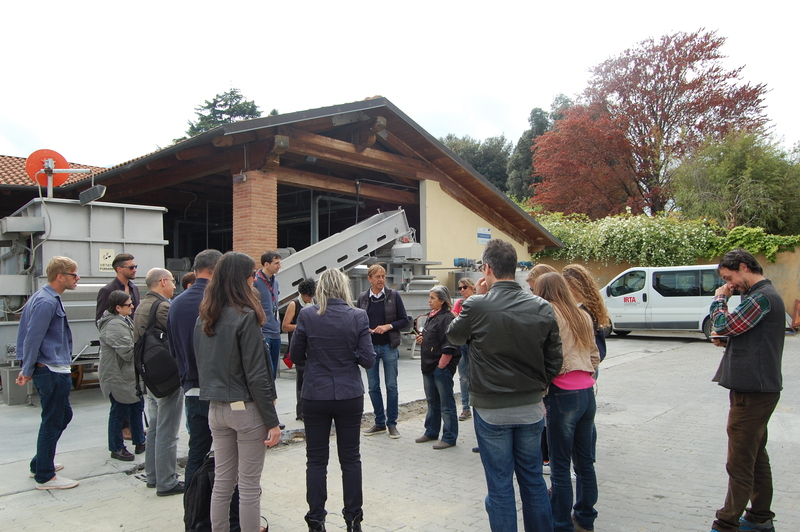 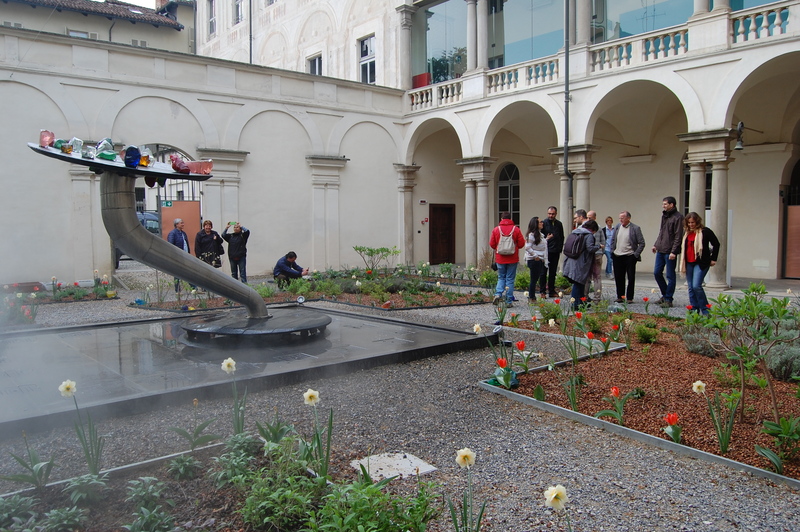 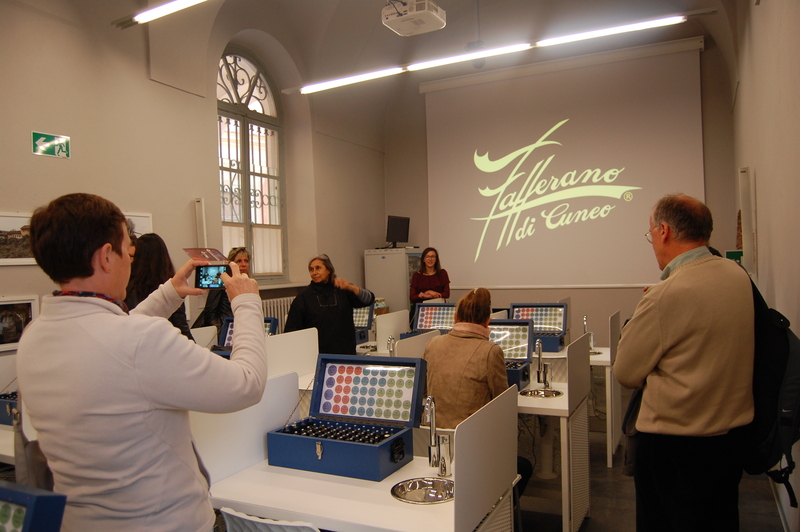 The second day was held in Savigliano, Piemonte, here at MÚSES Accademia Europea delle Essenze, after a welcoming coffee, the students went on a thorough visit to some of the enterprises of the territory. 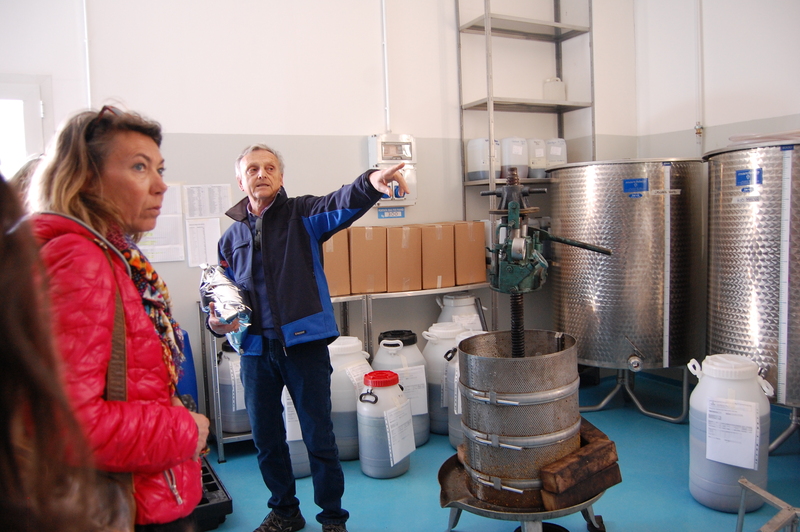 At Valverbe, in the town of Melle, they could put their hands on the making of infusions starting from herbs. 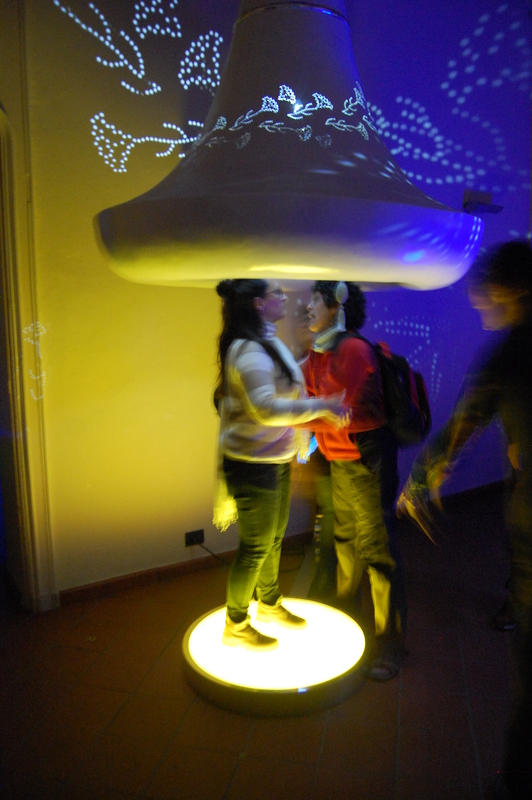 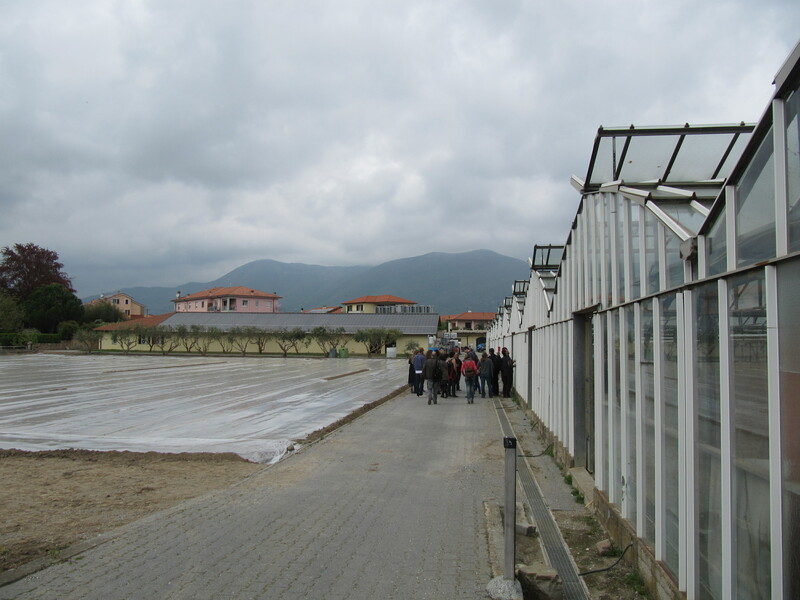 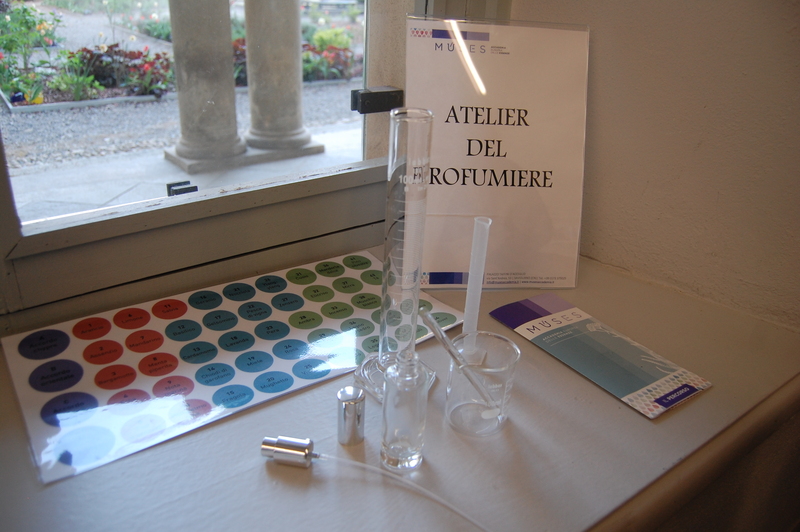 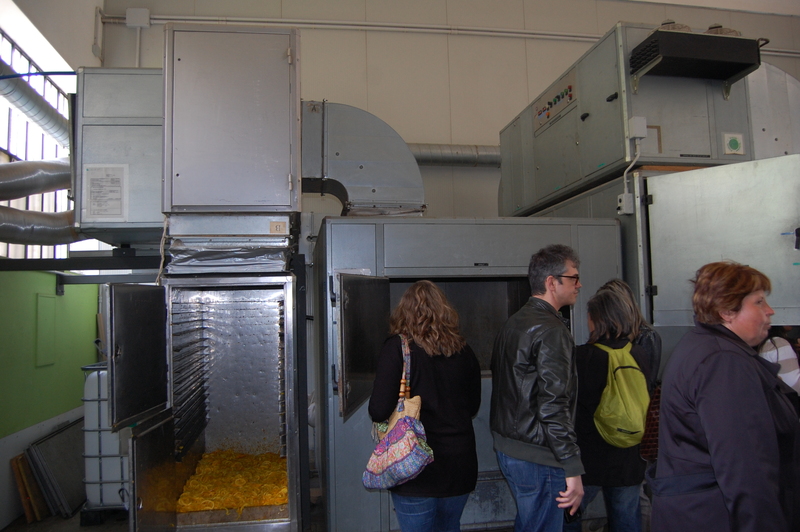 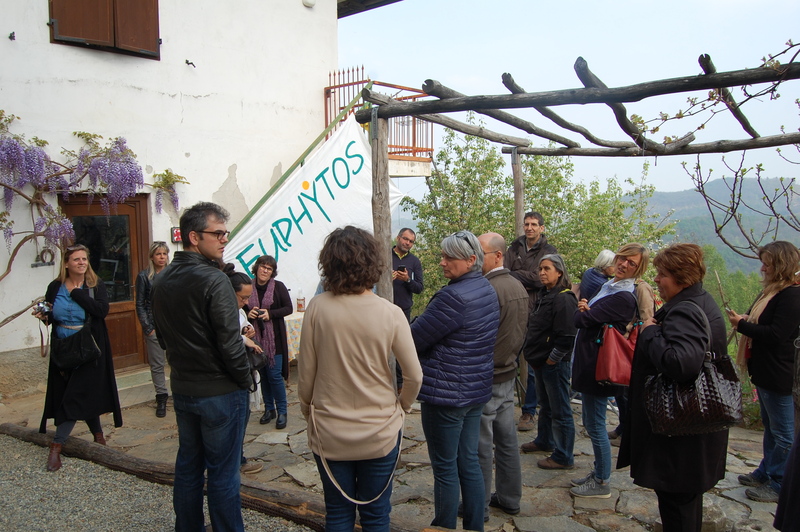 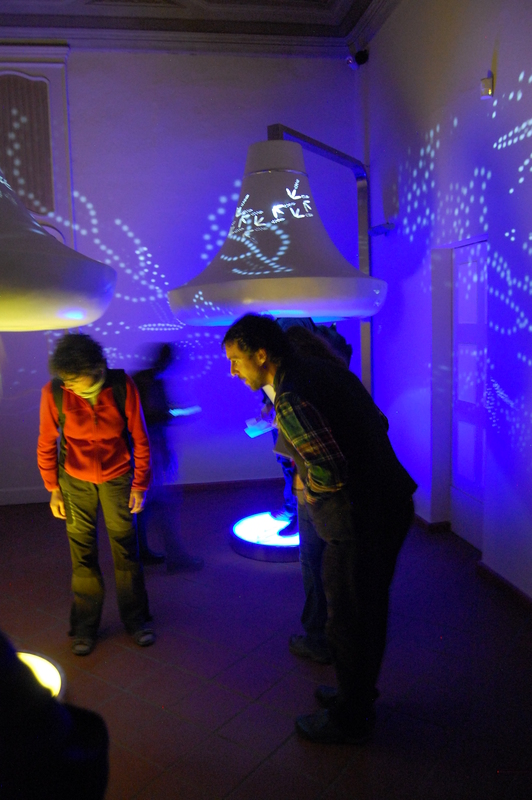 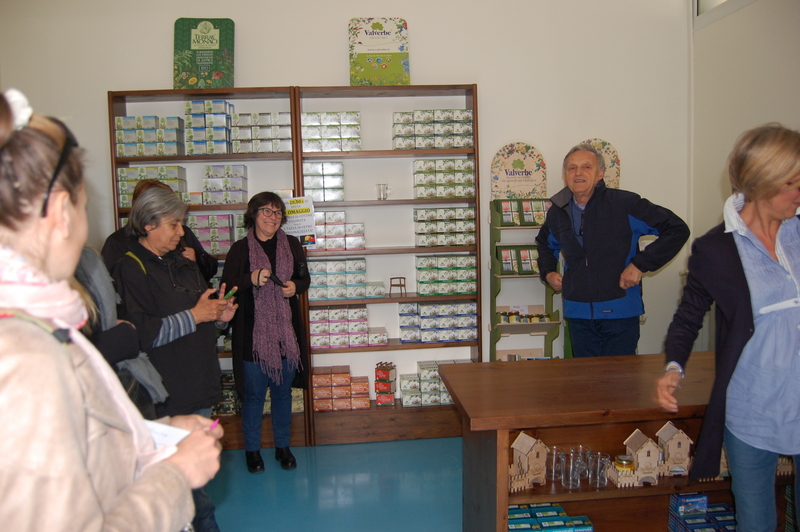 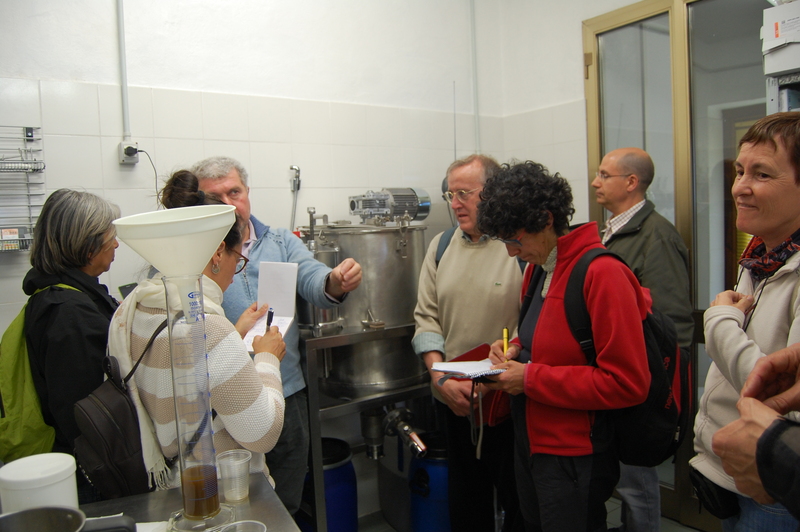 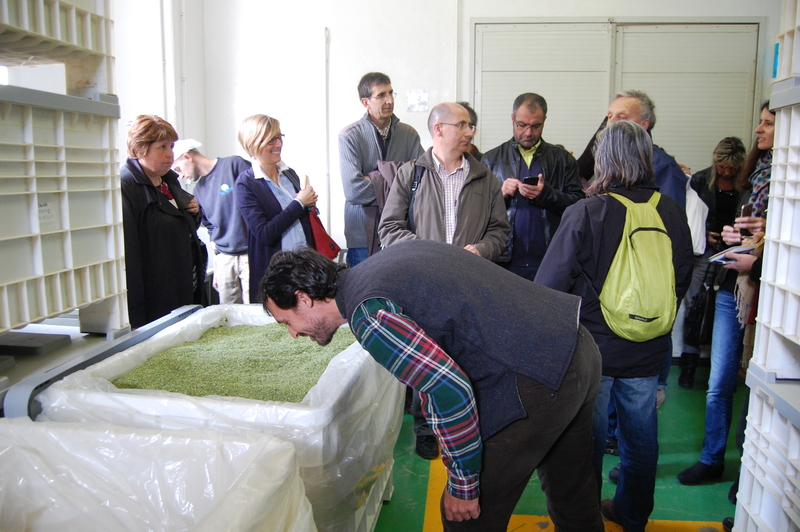 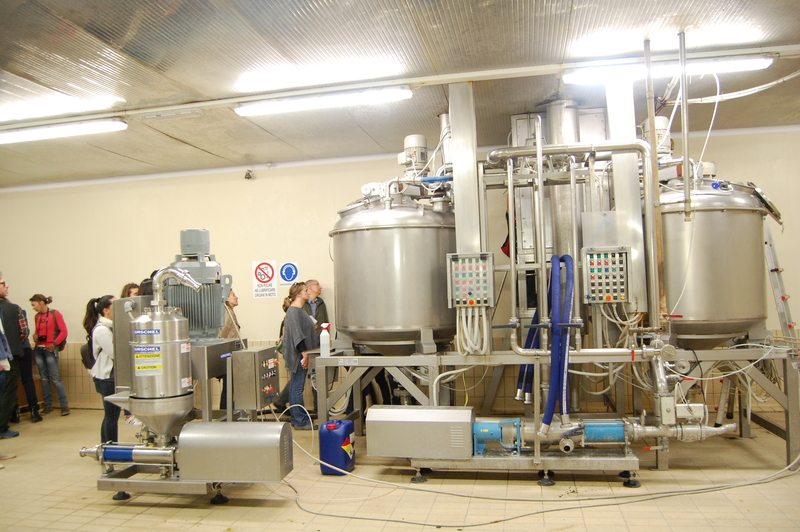 At Euphytos, in the town of Rossana, opened the doors of its laboratory and explained to the students the process of extraction of essences using microwaves. 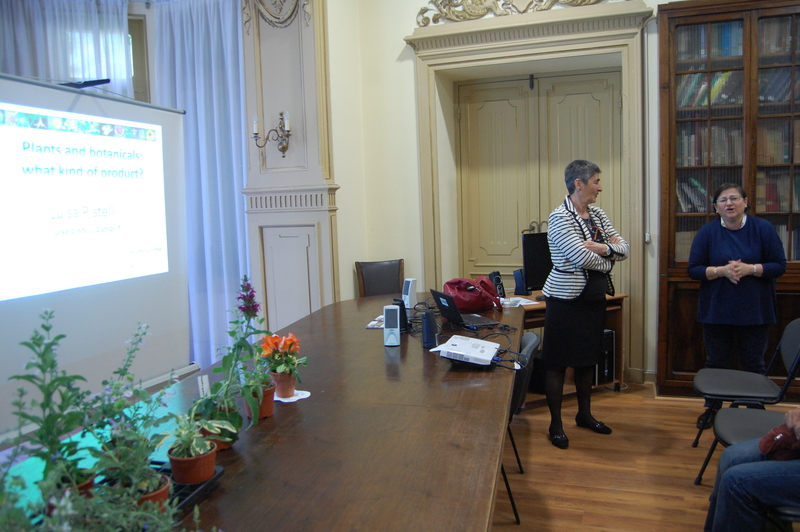 Back again in Liguria, the week went on among seminars and visits: at CREA Dr. Luisa Pistelli tackled the theme of botanicals while Mr. Anfossi from the enterprise with the same name illustrated the processes of the making of Pesto, the famous Ligurian sauce made from basil. 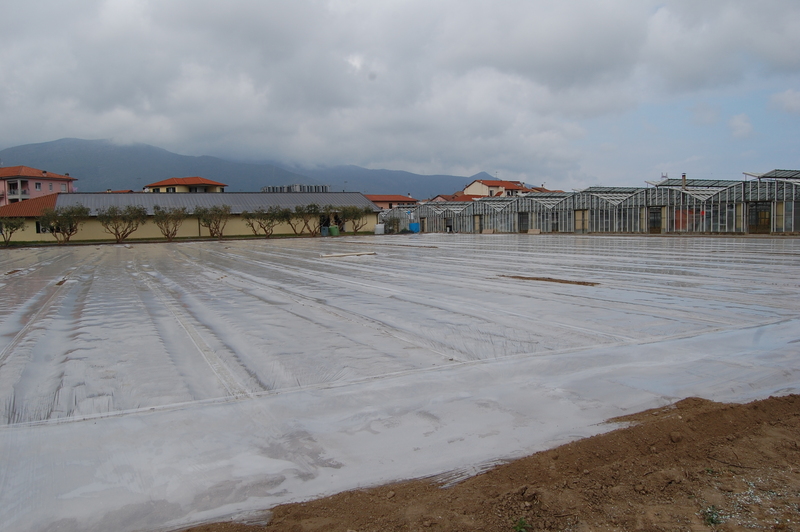 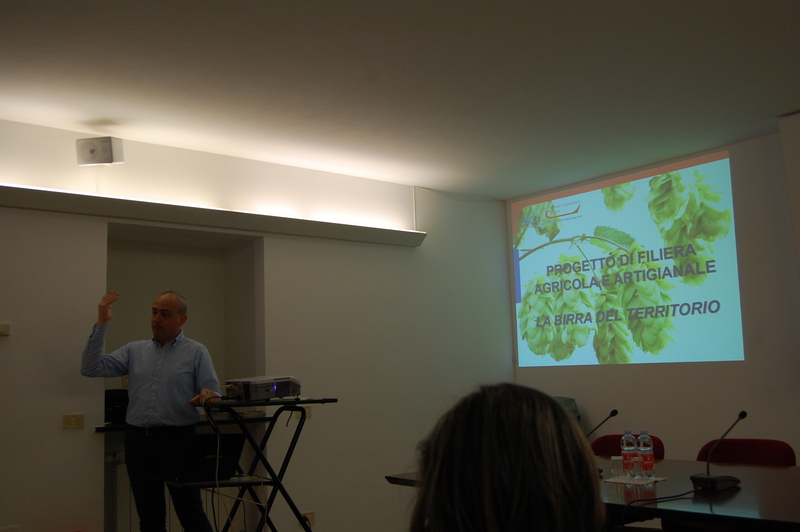 In the evening at CeRSAA, in Albenga, Mr. Giovanni Minuto talked about the strategies of local development of basil (Ocimum basilicum), hop (Humulus lupulus) and the particular case of Chinotto – Citrus myrtifolia (the typical citrus fruit of the western Liguria). 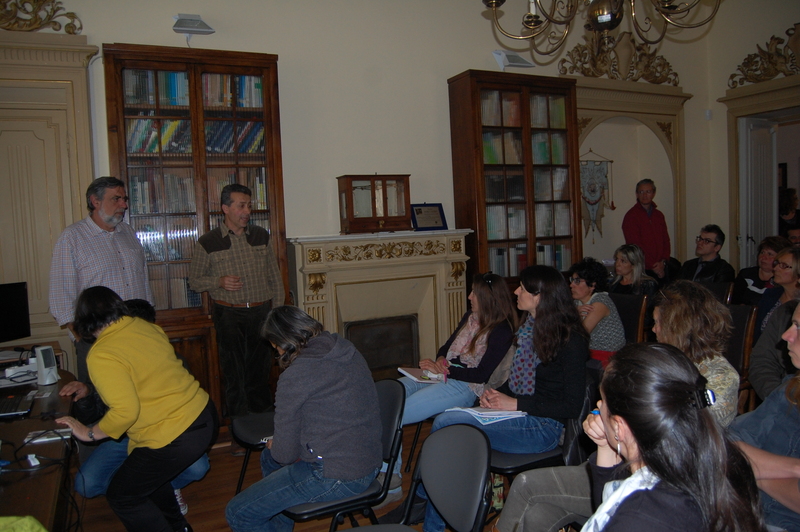 At the end, learners dedicated some time to work together for discussing the previewed subjects on commercialisation of the networking.